There are some vegetables that taste so much better when home-grown that I would not consider growing a garden without including them. Beans, tomatoes and eggplant are a few of them. But I have recently added another vegetable to that list – garlic. I am a true garlic lover. When I was buying it in the store, I would never buy one head or bulb at a time like most shoppers; I purchased a bag of 3 or more heads and knew that I would be buying more soon. I loved the taste of those white heads that were piled up in the produce section of the grocery store – but no longer. Now I grew my own garlic. I will only buy those bland heads of garlic from the store when I run out of my home-grow varieties. The difference in taste is indescribable. Garlic comes in two basic types, hardneck and softneck. In hardneck garlic, the cloves grow in a circle around a woody central stem. The cloves tend to be large and do not store quite as long as softneck varieties. Softneck garlics produce more cloves per head but they tend to be smaller. Softneck varieties are what you want to grow if you are looking to make garlic braids. Both types of garlic are easy to grow. While you can find garlic in the garden centers in the spring, the best time to plant is in the fall. More and more seed companies are offering garlic for fall planting or you can plant some of the garlic that you might find at your local farmers market. Just do not try planting the cloves you find in the store; often they are treated with a growth inhibitor. I plant mine here in south-central PA in the middle of October. I simply break the heads into cloves and plant them about 4-6 inches apart and about 2 or 3 inches deep. Garlic will grow just about anywhere as long as the soil does not get waterlogged in the winter. The cloves will start to grow in the fall and then take off in the spring. Garlic is ready to harvest when there are only 3 or 4 green leaves left on the plant. Each of the leaves represents one layer of covering over the bulb. 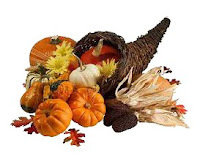 If you wait until all of the leaves are brown, you might find that the head has no wrapping on it, the cloves are exposed to the soil and the garlic will not store well. After harvesting, garlic needs to spend 2-3 weeks in a shaded and well ventilated place to cure. Once this has happened, you can trim off the tops, cut off the roots and store the heads in a cool, dry place. The thing that amazes me is how each variety of garlic has its own unique taste. I have made it my mission in life to try as many of them as possible! So each year, I plant one variety that I know grows well and tastes good and then I order a new variety to try. I have yet to be disappointed by any of them. It might be one of the newer vegetables in my garden but garlic is one that I will always grow. Marc Baase is a contributing writer for Mike the Gardener Enterprises, LLC the exclusive home for the Seeds of the Month Club. 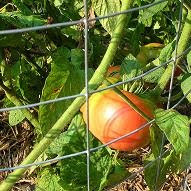 Our goal here at Mike the Gardener Enterprises is to get vegetable gardening in every yard everywhere we can think of! In order to do that, we need to make it easy and affordable to get started and then ensure support for those that need to help to succeed. Before you start thinking about your fall vegetable garden as being burdensome, take some of these tips into account and you will see you can extend your growing season without very much effort. One of the best ways to ensure a successful small garden is to keep it small. There is no need to grow lots of vegetables in the fall (unless you want to of course). You can grow a handful just to keep it going, and keep it fun. A four foot by four foot area is perfect. Fact is when you can see your garden and it’s within reasonable eye sight from your back door or kitchen window you are more likely to maintain it. My rule of thumb is no further than 10 feet away. I absolutely love spinach, and fortunately for me, spinach is a cool weather crop, perfect for my fall garden. Since I know I love to eat spinach, it makes it easier to grow it, since I am anxious for it to be done. Follow this tip and you are sure to keep your fall vegetable gardening at its peak interest. Grow what you know you will eat. Sure none of these tips are ground breaking news, but implementing them after a long summer growing season will definitely go a long way to growing even more vegetables in the cooler months that follow. Start with picking our your area no more than 10 feet away, plantings vegetables that you know you will eat and you will be all set. In a few short weeks, before winter sets in, you will have some more great tasting fresh vegetables on the dinner table once again. Michael C. Podlesny is the president of and a contributing writer for Mike the Gardener Enterprises, LLC the exclusive home for the Seeds of the Month Club. Does the sound of the NFL or talks of the NHL season get you bummed out because that also spells the end of the vegetable gardening season? Well don’t let it. You may not be able to grow tomatoes and peppers in the cooler months but there are plenty of crops you can grow, and also means by which to extend their growth right into winter. There are so many varieties of vegetables that you can plant when the temperatures drop that you can literally be shocked and will invariably ask yourself why you didn’t garden more in the cooler months in the past. Radishes, lettuce (all varieties), spinach and Brussels sprouts are just four of the many vegetable varieties to choose from. We have a nice PDF you can download from our website that lists vegetables that can be grown when the temperatures have dropped. These vegetables grow fairly quickly and produce into the months where there might be a fear of frost. I will get more into protecting them in a moment. If going organic is not that important to you, you can also purchase various varieties of seeds that have been genetically engineered to tolerate cooler temperatures. Once you have your vegetables of choice in the ground you will want to come up with the means to protect them from cold gusting winds. 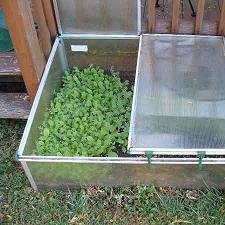 One excellent option is something called a cold frame. It is basically a frame you build around you garden to keep the winds off of the vegetables. They can be as elaborate as a greenhouse or something simple like stacking bales of hay around the garden. Do a Google search on cold frame gardening and you will see what I mean. But let’s say you don’t want to build a cold frame and you lack the space for a greenhouse. You can always plant your vegetables in pots and grow them indoors. I use this technique quite a bit, especially for my lettuce. I will plant my lettuce indoors in pots and keep them on a window sill that gets sunlight first thing in the morning. As the plant grows and matures, I cut off with scissors what I use and let the plant continue to flourish. There is nothing like eating a BLT in the winter where the “L” was harvested just seconds before it is consumed. These are just some of the many ideas that come to mind as the temperatures begin to drop. Don’t let the thought of winter coming get your spirits down about vegetable gardening. Extend your growing season by implementing some of these options previously mentioned. The other day, John was out for a walk through his neighborhood and he happened to notice a backyard garden unlike any he had seen before. John was a gardener himself and he could not help but wonder what the secret of this mystery gardener was. While his own tomato and pepper plants were producing a host of fruit, the tomatoes were not ripening and the peppers seemed to be dwarfed. Finally, his curiosity got the best of him. He decided to knock on the front door of the house with the magnificent garden and ask a few questions. A few moments passed before a pop-bellied man with a wild head of loosely curled hair swung the door open. John felt a momentary rush of anxiety but pressed through and offered a formal introduction. He explained that he noticed the man’s garden with its enormous summer-red, ripe tomatoes and pepper plants bursting with mature fruit. The man smiled at John and informed him that he was the second inquirer that week. John asked him what his secret was. The man replied that there was no secret—at least, not one that was intentionally covered up. The truth was, that most soils are low in P.K. soil mix, also known as Phosphorus and Potassium. 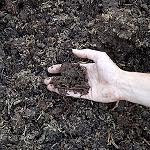 Fertilizers and composts are rich in Nitrogen content, extremely so, in many cases, but often lack adequate amounts of Potassium and Phosphorus. What that means for the gardener is that he or she will have tall, green, leafy plants with a panoply of buds and immature fruit, but nothing ripe for the harvest. Nitrogen is a great nutrient for encouraging plants to grow generous root systems so they can get big and thick, but without enough P.K mix, seeds and fruit suffer, sometimes to the end of producing nothing ripe at all. For John and every gardener who has suffered a similar fate, the good news is a relief. Even in August, it is not too late to remedy the soil mixture and provoke a harvest of ripeness. A quick trip to a local gardening store can solve the problem. A week after putting the mix on his garden, John felt obligated to go back to the man’s house and thank him. He was surprised by how quickly his garden had responded. Tomatoes that had grown bulging and green were ripe, as if overnight, and the peppers were already as big as many found in the supermarket. This simple solution saved John’s garden, and for anyone out there who has observed the same symptoms in their own garden, it is not too late to respond. One note of caution however, should be taken. As with nitrogen burn, too much of a good thing, like Phosphorus and Potassium, can kill an eager plant. Jody Sperling is a contributing writer for Mike the Gardener Enterprises, LLC the exclusive home for the Seeds of the Month Club. “It was the government’s way of encouraging everyone to save for the war effort. It worked. Even in those days, seed was the cheapest way to go. We would always have a garden.” I knew what he was talking about because I’d recently visited the old WurliTzer building nearby on Niagara Falls Boulevard and seen an enlarged photo of the promenade, in front of the old music factory, filled with World War II Victory Gardens. The photo intrigued me enough to do some additional research. Men like Herman came from hard scrabble backgrounds. That meant making due with what you had. He brewed his own dandelion wine. He saved seeds from year-to-year. He raised chickens in a coup behind his home, “grandfathered in” years after his city had passed an ordinance banning such endeavors. The basics of Herman’s garden, however, were simple. can save the seeds,” he told me. He cautioned about the most common mistake novice gardeners make. Every time I talked to the man, I seemed to learn some more about what I didn’t know. The bottom line, though, is to find a mentor like Herman (or Mike the Gardener) and follow his or her lead. Joe Genco is a contributing writer for Mike the Gardener Enterprises, LLC the exclusive home for the Seeds of the Month Club. My first stop was to my Aunt's house. She informed me that it would be significantly easier tilling if I first cut the grass as short as I possibly could. She armed me with one of those electric weed-whackers that you plug in to speed through that process. Excellent! I wouldn't even have to spend money on gas. She also had one of those mini tillers that I thought would serve my purposes just fine. I didn't want a gigantic garden, just a little of this and a little of that. She was giving me some mini-tiller instructions, but I wasn't really paying attention. Visions of gorgeous vegetables were dancing in my head. I was eager to get started, and I'd seen my father, George use a full-size tiller with complete ease in my childhood, how different could it be? I loaded that mini-tiller and the electric weed-whacker into the trunk of my car and back I went to the spot of my future garden. So I commenced my grass cutting. I skipped the lawn mower and went straight to the very novel electric weed-whacker. I thought, 'Hey, I can even neaten up around my deck!' Great times. I weed-whacked down to almost dirt, concentrating on not actually hitting dirt so I wouldn't demolish the cord that whacks the weeds. I had an excellent and reasonably sized rectangle when I was done. I neatened up all around my porch and the front step. Feeling like I'd killed two birds with one stone. It was wonderful the sense of accomplishment I had. It was too bad that it was so short-lived. I was just winding up the cord to the weed-whacker when I looked up. In the process of clearing my garden plot, and industriously edging around the deck, the cord had mangled everything growing in all 4 of my flower boxes. Sense of accomplishment gone. After looking over the damage, I did what little I could for my mangled flowers, and pressed on in my rototilling mission. I pride myself on what little bit of mechanical ability I do possess. Back in the day I used to pull-start a snowmobile. This little baby tiller should be no problem whatsoever! An hour, a set of scuffed knuckles and an arm like jell-o later, I've managed to get the mini-tiller started. The thing is going, and I attempt to push it forward. 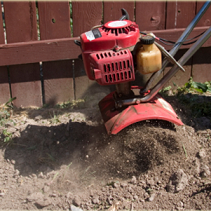 The mini-tiller digs down into the sod making a nice little hole, but refuses to go forward. So, logic says I pull it backwards if it won't go forward. The thing is digging through sod into dirt, and I'm doing alright for a few seconds. One thing you may or may not know about mini-tillers is that they're not particularly stable. They tend to be a little tippy while they hop through the dirt, and there is also no guard on the back to deflect dirt and anything else you might till up. You'll figure this out if you're like me, diving right into your project willy-nilly. This mini-tiller bounced around and tipped sideways throwing dirt, sod, grass and rocks everywhere, including all over me as I struggled to get it under control. I kept at it for a little while longer. Pelting the side of my house, my car, the lawn, myself and my dog with dirt, rocks and clumps of grass. When a rather sizable rock tagged me in the shin at high velocity, followed by a string of cuss words to make any pirate proud, I decided I'd had enough of the mini-tiller. Its important that you know, I have since learned the proper handling techniques for a mini-tiller, and as it turns out they are very useful. I would just recommend reading the manual, and probably using it in your already de-sodded garden. Or perhaps when someone is trying to tell you how to use it, pay attention. My next thought as I was icing my injury, was to call Dad. Why I didn't do this first, I just don't know. A tractor would make quick work of this little patch of sod! That evening, being the good Dad that he is, out he rode on his tractor with the appropriate attachment. It literally took him about 45 seconds to till up the plot marked out by my earlier weed-whackings. God bless John Deere. So after a short visit with Dad where I chronicled my difficulties with the mini-tiller, and he examined the chipped paint on my car, I got back to work. At this point I was tossing sod in one direction and rocks in another. I don't know how much you know about dogs, particularly Golden Retrievers. They just think its great fun for you to throw things so they can bring it back. Sunday morning, I've got a good sweat going tossing clumps of sod and rocks of varying size. Wouldn't you know that fool dog brought back most of the rocks and some of the sod I was throwing. She did her retriever breeding proud that day. After I had to back track and re-de-rock about 8 feet of progress, I had to put her in the house, where she watched me pitifully from the window. It took me most of the morning, but once I was done I had a lovely garden spot. My next move was to re-till my dirt. After my harrowing experience with the mini-tiller, I wasn't eager to try it again. If the bruise on my shin and the paint missing from my car wasn't enough to convince me, the fact that the dog would run in terror from the thing was enough. When I found my Aunt not at home, I unceremoniously dumped the thing on her porch along with the weed-whacker, and set out on my next rototiller mission. I was on my way to rent one from my local equipment rental place. It was surprisingly cheap, I figured I'd only need it for a couple of hours. I got my latest tiller home in a borrowed truck. To this day I'm very glad there was no one around to watch me take that beast of the back of that truck except the dog, and she's not talking. Death by rototiller wasn't a far off diagnosis of that dismount. I've got a smart dog, but I don't know if she'd run for help "Lassie-style" were I to be trapped and unconscious beneath that rototiller. Honestly, do yourself a favor and use a ramp of some sort to roll your rototiller down from the truck bed, or at bare minimum a sturdy plank, ideally more than one. It might have been a stroke of genius to back up against a natural bank to unload. However, luck (if not skill) was on my side, and I got the rental tiller to the ground with minimal damage to it or myself. The one ancient board I'd found in my shed didn't fare nearly as well. This particular tiller had tires on the front and the spinning tines in the back, also with a flap to protect me from flying dirt and rocks. I was feeling warm and fuzzy towards the machine already. So I wheeled it over to my plot, and started it up with minimal troubles. I was feeling successful so early in the game! I activated the tines and away I went. It was beautiful. That tiller made my dirt gorgeous. I was a happy gardener with my first pass…and then I came to the end of the row. I moved to turn, the tines that were my friend climbed up out of the dirt of their own volition and began clawing into the sod of my lawn, dragging me with it. I tore up a good 5 ft strip of lawn before I was able to work the necessary levers to stop the tiller without killing the engine. Nearly giving myself a hernia, I managed to turn the beast around, and wheel it back to what I actually wanted tilled. Beautiful tilled up dirt was the result, with some clawed up lawn on the other end, although much less lawn than my original pass. Although, seeing the tiller's work on my lawn, I might've just used it to originally break ground, rather than Dad with his tractor, although it probably would've yanked me in God-only-knows what kind of a pattern rather than the oddly shaped rectangle I was working on at that point. By the time I reached the last row of what was to be my garden, I about had the hang of it. Why had this not been as easy as the rototilling I'd seen my father do in my childhood? I'd seen him operate a tiller similar to the one I was using one handed while he walked heel to toe beside it, making perfect rows. For starters, its always helps to know what you're doing. At the time when he was using a rototiller, that was not his first time. He was also very familiar with how a rototiller works. He knew how to work all the levers for speed, and depth of the tines. It is also clear to me that as far as upper body strength is concerned, he out classes me by a lot. The moral of this story, get informed! Enthusiasm counts for a lot in anything you do. But don't let it be the only thing you're armed with when you head into a garden project. Especially when it comes to any sort of power equipment. Upon reflection, I got lucky. I've since read articles about people dying by getting trapped under a heavy rototiller like the one I was stupidly pushing towards the 4 foot drop off the back of a pick-up with only a dry-rotted board for support. Going crazy with the mini-tiller certainly could've turned out a lot worse than chipped paint and bruises. If not for yourself, do it for your loved ones. Protective gear is never a bad idea. You certainly should protect your hearing, and your eyesight as well. Get informed about the machinery you're using. Trial and error is a great way to learn, but not when there are bones and arteries at stake. Read the directions, seek advice from the experienced, and pay attention. Its definitely a mistake to let your enthusiasm for your project override your sense of self-preservation. Gillian Gaddis is a contributing writer for Mike the Gardener Enterprises, LLC the exclusive home for the Seeds of the Month Club. Typically, one plants in the spring and harvests in the summer and fall. But what you may not know is that you can extend your growing season (and your harvest) by planting crops in mid to late summer. For your late summer sowing to succeed, consider plants which can tolerate cooler temperatures. Leafy greens like Kale, totsoi, and arugula tolerate cooler weather and frost well, and will add to your harvest, according to writer Barbara Pleasant (1). Additionally, she writes that leafy greens tend to be sweeter when harvested during colder months than during hotter ones. Where growing seasons are shorter, these cold weather crops can give your harvest (and salads!) a boost throughout the fall. Additionally, any covering for plants you fabricate in the fall can be used again in the spring, that is, if you want to plant early before the last frost date. Another plant to consider planting in mid to late summer is raddish and parsnips—I received seeds for these two plants in the mail for my subscription to Mike the Average gardener, and really I didn’t know what to do with them. But after some research, I discovered the pairing of radish and parsnip was more beneficial than I had anticipated. 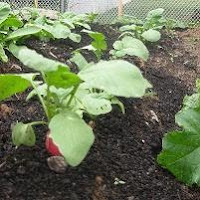 Whether by consequence or good planning, radish and turnip seeds can be planted together, because radishes will germinate quickly and be ready for harvest just as seedlings begin to take hold from the parsnips (3). And, if you want to keep your carrots and parsnips outside in your garden through the winter, you can—just cover them with a thick layer of mulch. One of the joys of gardening at home is maximizing yield—and usually all it takes to maximize is a little extra knowledge. So keep reading! Keep learning! Share, and educate others. 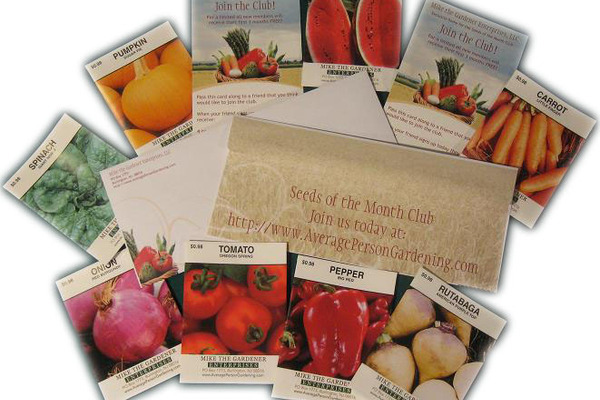 Dave Merian is a contributing writer for Mike the Gardener Enterprises, LLC the exclusive home for the Seeds of the Month Club. Homegrown onions can be useful in a variety of dishes, from salsas and stews to Thanksgiving stuffing and burger toppings, and with only one square foot of space needed to grow two onions, even gardeners with small plots can fit in a few. While seeds should be started indoors and planted outdoors in late spring, gardeners still have a chance to plant onions in the summer season. Stores like Home Depot sell both seedlings and bulbs. The lateness (or earliness) of the season should help growers determine which of the three – seeds, seedlings, or bulbs – would be best in their garden. When considering seeds and seedlings, a simple glance at the calendar can help determine when a bulb will appear. 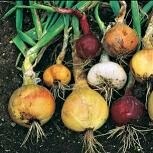 Walla Walla Onions and Sweet Spanish Onions are “Long Day Onions,” forming a bulb when there is 14-16 hours of sunlight, while “Short Day Onions” like Red Burgundy begin to form bulbs at 12-14 hours of sunlight. Planting onions along the outside of gardens in their own area can offer a bonus: animals like deer and bunnies do not like the taste. Onions can be fussy about the amount of water they receive. Overwatering is a common problem when growing the vegetable – if the green shoots of the onion begins to yellow and drop, hold off on watering and ensure the area is draining properly. Adequate drainage also helps to prevent mildew and rot. Another problem gardeners can face when growing the vegetable: onions can poke up out of the soil, exposing the top to the sun and hungry pests. Check them periodically to ensure that they are fully covered. Onions are ready to harvest when the greens fall to the ground. Dry the onion, intact, for two days, then trim off the roots and greens. Allow the trimmed onion to dry in open air for another 1-2 days before use; this can prevent premature spoiling. Take care that unharvested onions are not allowed to go to seed – once onions invade other areas of a garden, they are almost impossible to eradicate. Generally, as biennials, onions go to seed in their second year when a rigid stalk with a seedpod at the end appears. Rather than dump salsa into a plain serving dish, create a bowl out of a large cooked onion. Preheat oven to 450 degrees. Cut the top quarter off the top of a large onion, and wrap the onion in foil. Cook until soft, about 90 minutes. Unwrap and let cool. Starting at the center, pull out the inner layers of the onion, leaving a flavorful bowl to fill with salsa or other dips. • Avoid watering eyes by placing the onion into the freezer for 10-15 minutes (don’t freeze it or you won’t be able to cut through it). • Another way to keep your eyes dry while working with onions is to burn a candle close to your workspace – the flames will burn off the fumes that makes eyes water. • Onions emit a gas that causes foods like potatoes to decompose quicker, so make sure to store onions separately in a cool, dry, and dark place. Darcy Anne Shepard is a contributing writer for Mike the Gardener Enterprises, LLC the exclusive home for the Seeds of the Month Club.